We arrived late at night and so checked into the hotel and basically just went to sleep, as we were tired from a day of travelling! 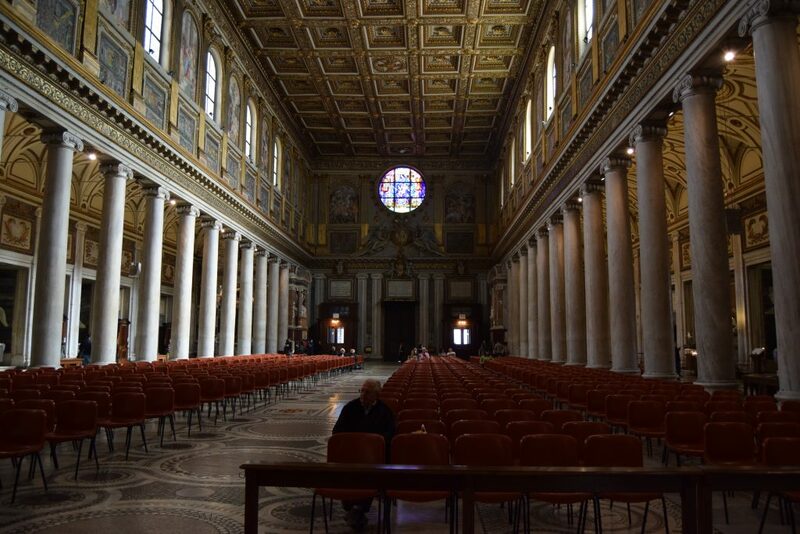 We had also booked onto a full day Vatican Museum and Colloseum tour the next day which started early (8am), so we needed to get some rest in preparation. 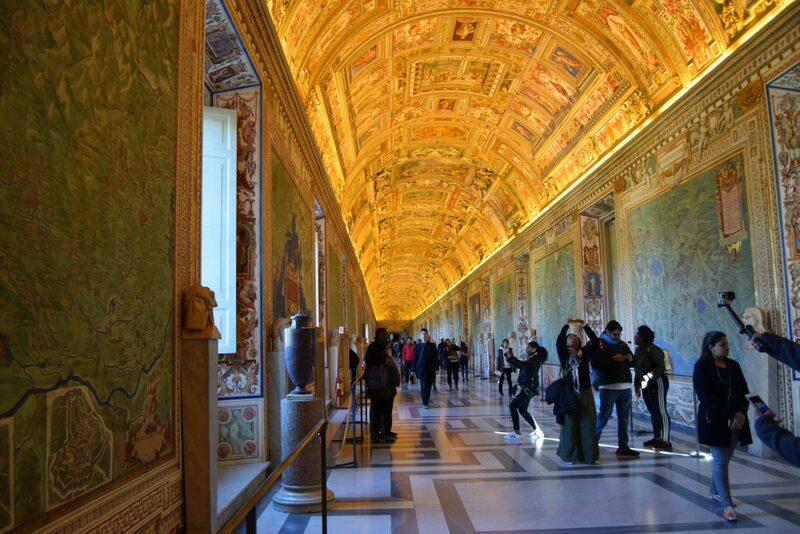 We spent the morning on a tour of the Vatican Museum, Sistine Chapel and St Peter’s Basicalla. It was very tiring and and my back started to hurt around mid morning as there was A LOT of walking (I wasn’t wearing the best shoes – flat black boots as opposed to my memory foam trainers). Despite this though, it was pretty interesting, albeit a bit rushed trying to fit everything in – and VERY BUSY. I would advise booking tickets before you go to skip the queues (which are massive) and also go early as there is a lot to see. I’m not really that knowledgeable about art so we booked a tour which made it more interesting. 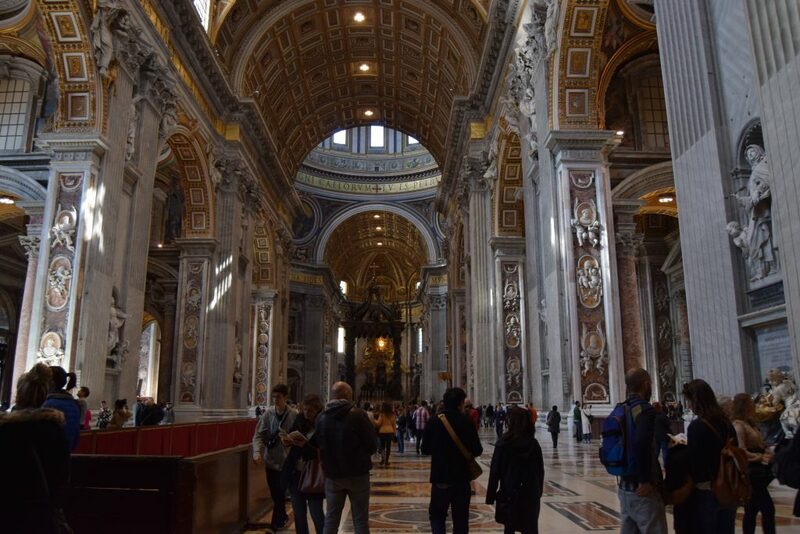 You are not allowed to take any pictures in the Sistine Chapel but it was very impressive! I think my favourite of the three was St Peter’s Basicalla, this was an absolutely amazing church – probably the most beautiful church I’ve ever been in. 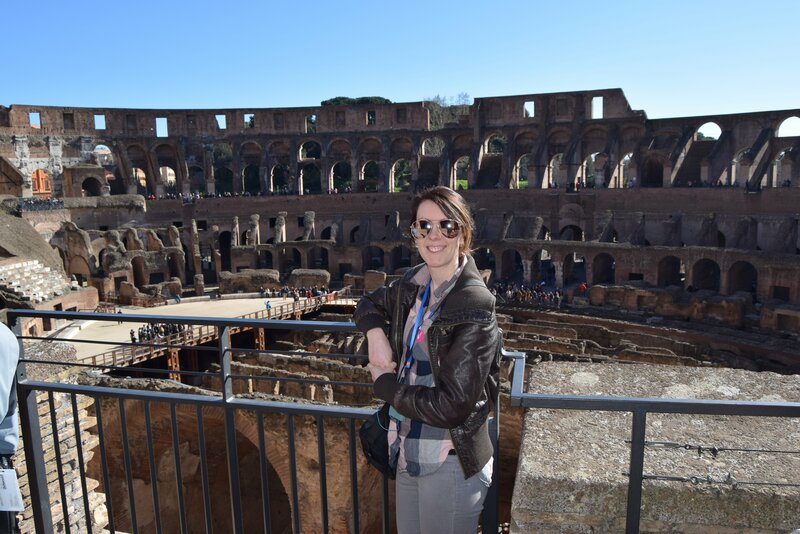 No trip to Rome is complete without a trip to see the Colosseum! After our tour of the Vatican, we headed towards the Colosseum for our afternoon tour of the Colosseum, Roman Forum and Palatine Hill. Again, lots of walking and a lot to see. It was a bit rushed trying to get across the city and at one point we got lost and thought we had missed the tour (panic averted when we finally found the meeting point and the tour hadn’t left yet!) We also didn’t have time to eat lunch so had a pizza on the go. 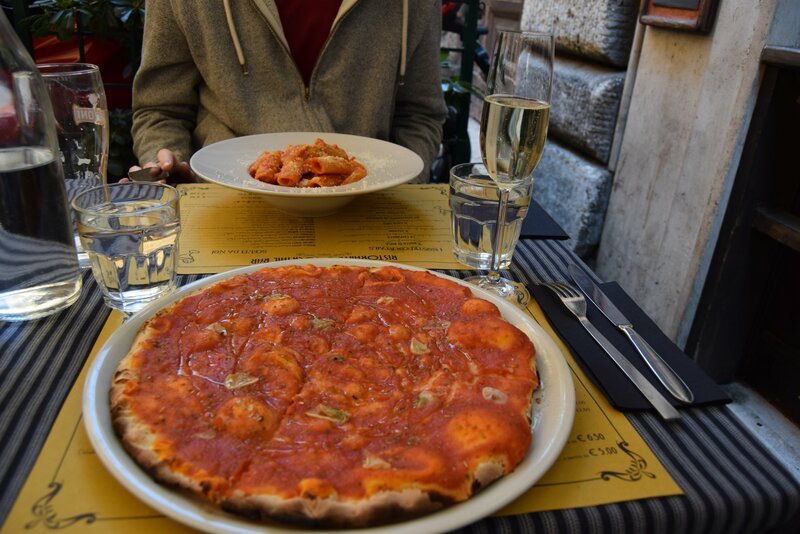 There are luckily lots of takeaway pizza places in Rome! I think the Colosseum was my favorite part of the trip. It’s definitely worth booking a tour online in advance as we didn’t have to queue and walked straight in. 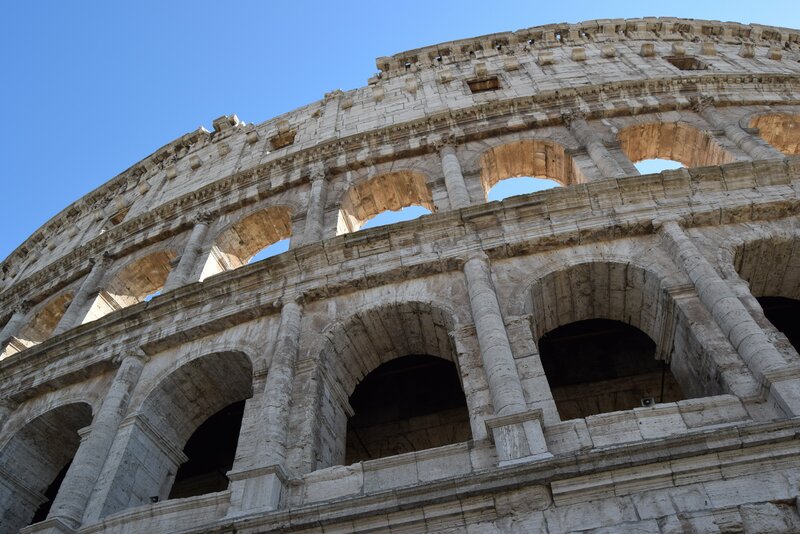 I thought the Colosseum was amazing and it was really interesting to hear about the history of it from our guide. 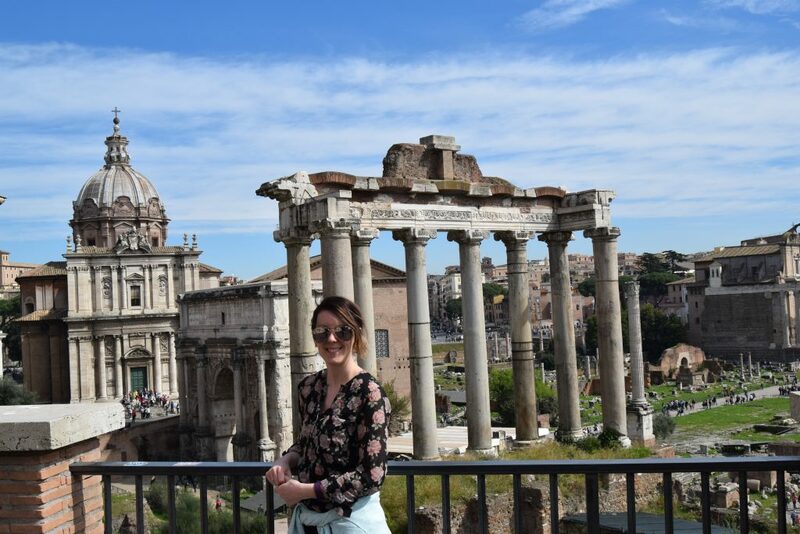 After our tour of the Colosseum, we headed towards the Roman Forum and then up to Palatine Hill, where the views were spectacular. After all the walking (by this point I had done well over 30K steps according to my Fitbit and my back was killing me), we decided to find Hard Rock Cafe. 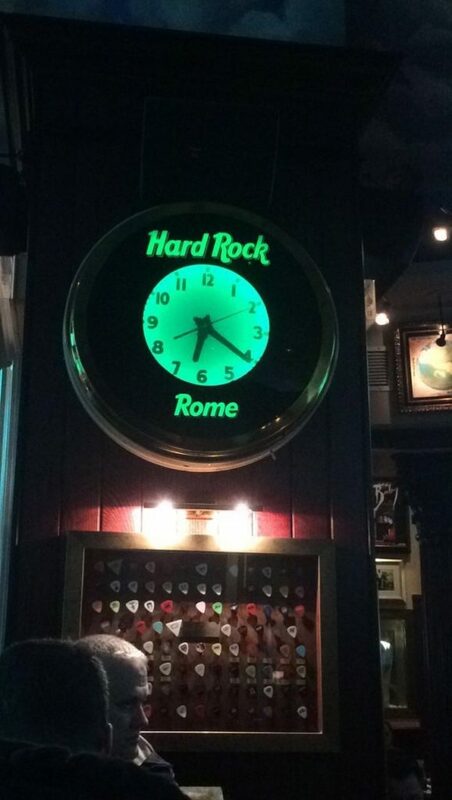 We always try and visit a Hard Rock Cafe wherever we go (if there is one). It’s like a tradition! Anyway the cocktail and sit down was much needed! I realised by this point that we hadn’t actually sat down properly all day. 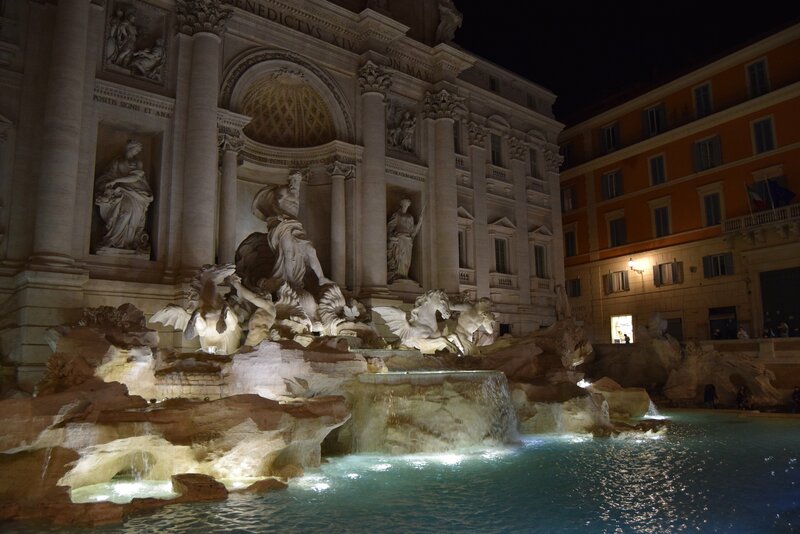 On the walk back to the hotel, we decided to check out the famous Trevi fountain. It really looked beautiful at night all lit up. The only downside was, even at night it was an incredibly busy tourist attraction. There were so many people and it was difficult to get a photo without people in it. I managed it though – just! There were also lots of street sellers trying to flog selfie sticks, this gets very tiresome after a while. We found a bar to have a quick drink and then headed back to the hotel for some much needed rest! After a rushed day on Day 1, we decided to take things easier on Day 2 and explore the sights we hadn’t seen yet at our own pace. I think this was necessary for my back to cope with the rest of the trip! I also made sure I wore my memory foam trainers on Day 2 which helped LOADS. 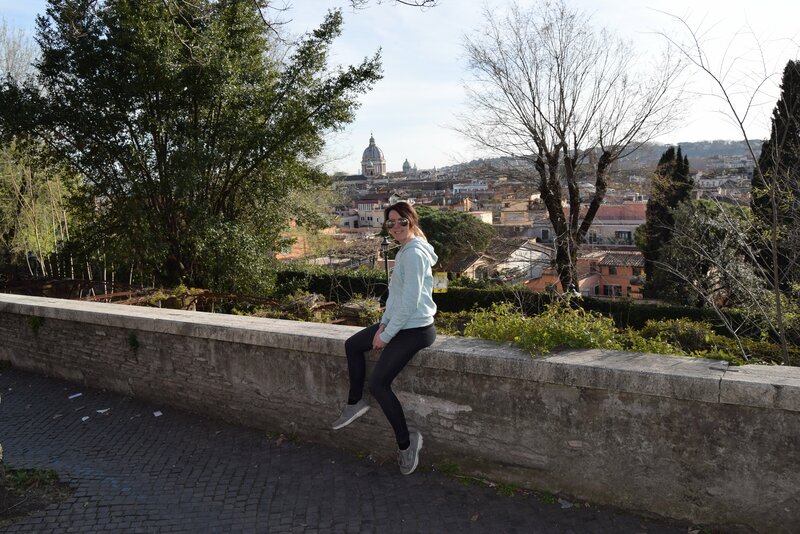 To start Day 2, we decided to explore the area we were staying in (called Trastevere). 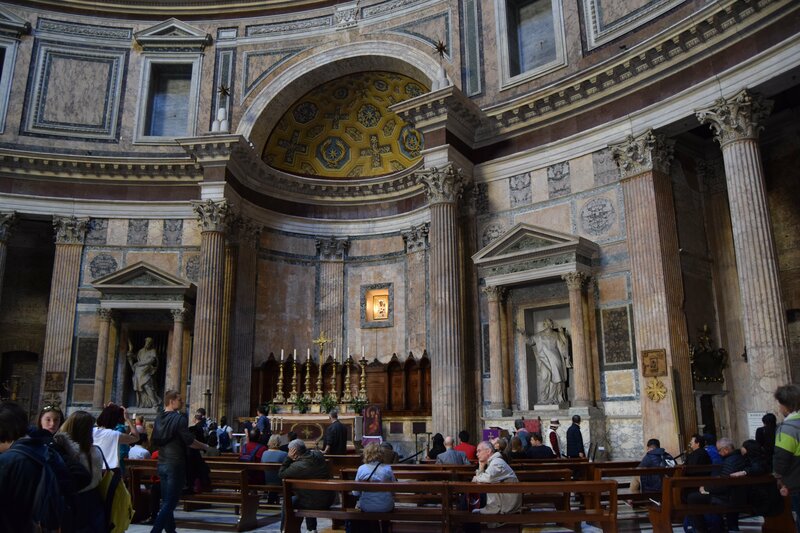 I think this was my favourite area of Rome! 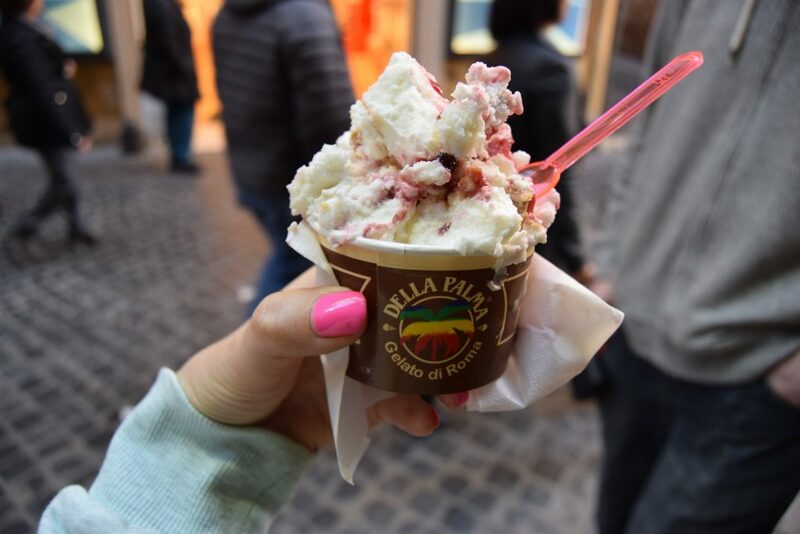 It’s a maze of pretty narrow, cobbled streets, piazzas and cute little restaurants and bars. It’s easy to get lost in this area (and that’s exactly what we did – several times!) 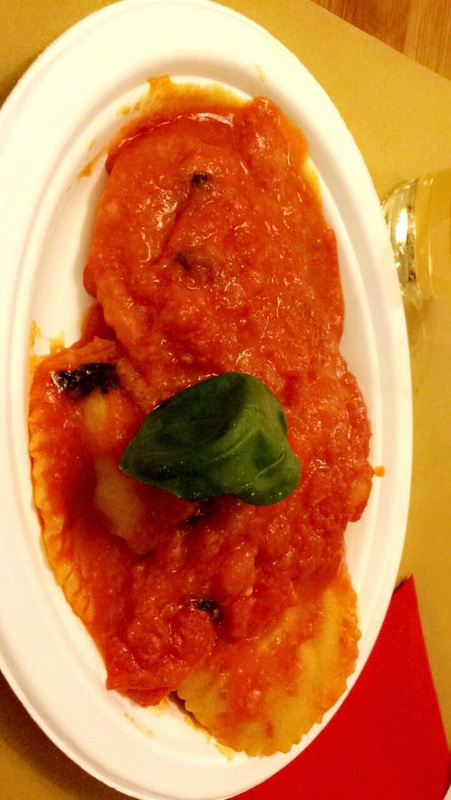 Some of the best restaurants in Rome can be found in this area. We ate breakfast at a cute little local Italian cafe called Dolce bar. 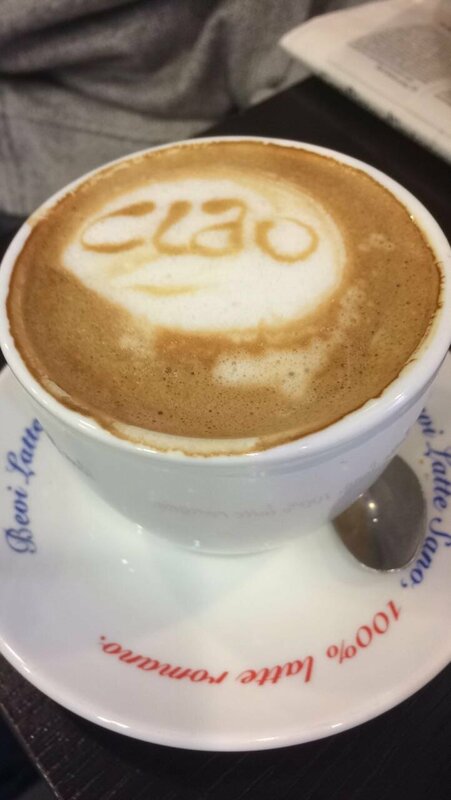 It was full of locals enjoying their expressos and extremely happy staff singing along to the radio, great atmosphere to start a day of sightseeing. 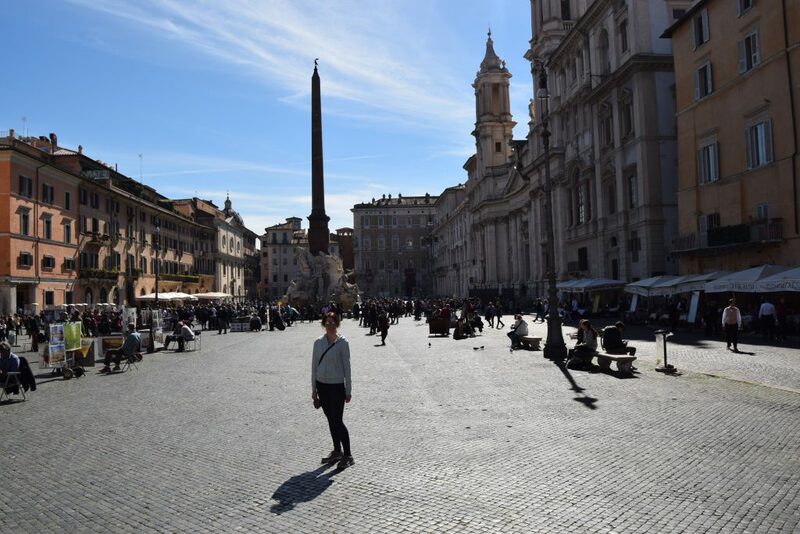 After exploring Trastevere, we headed across the river to explore Campo de’ Fiori, Piazza Navona and the Pantheon. 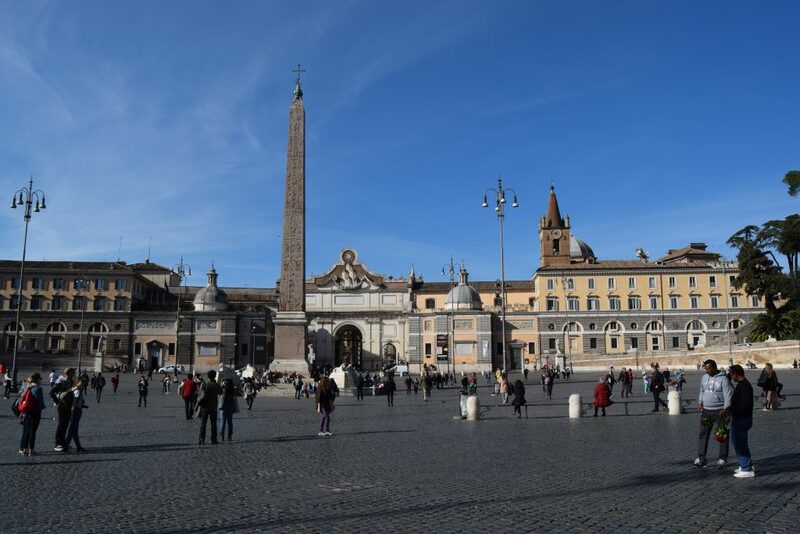 Piazza Navona is a very touristy square, full of street entertainers and street sellers trying to flog selfie sticks and roses (although these are EVERYWHERE!) It’s also very busy. The main square has many restaurants vying for attention and trying to get tourists in. I preferred the side streets around this area, which were very charming and full of quieter (and cheaper) bars and restaurants. We avoided the restaurants on the main square and ventured down the side streets for lunch. 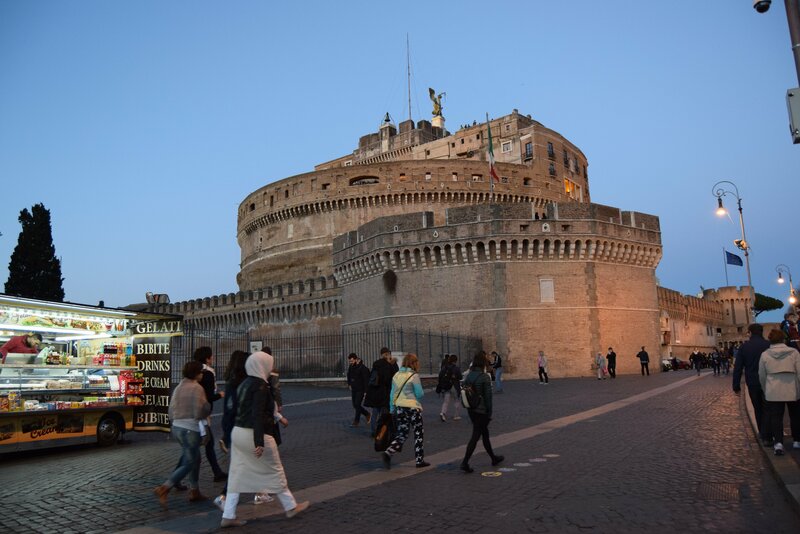 I’m glad we did because we found an amazing restaurant called Saltimbocca (which was almost empty, in contrast to the restaurants on the main piazza and cheaper too). The pizza and pasta we had was just amazing. 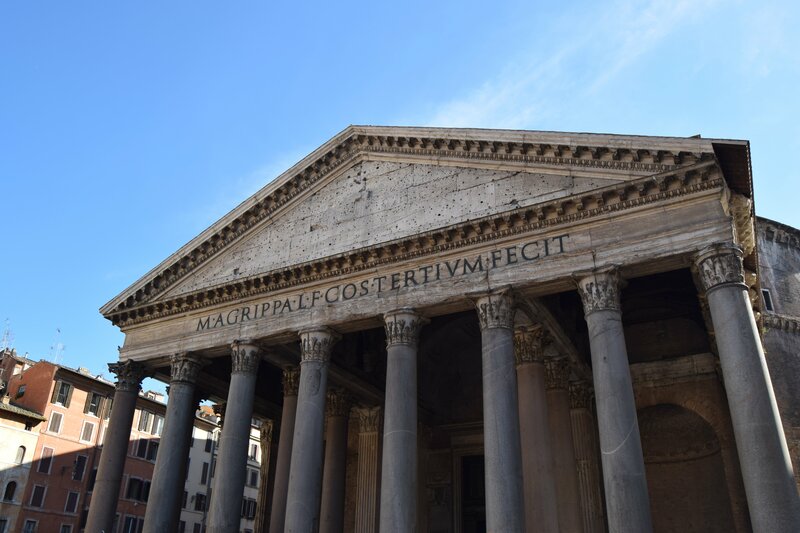 After lunch we headed to the Pantheon to have a quick look around (as it’s free and was recommended on Trip Advisor). Again, it was another very very busy, overcrowded area. The building was impressive though and you can have a look inside for free. After this it was a quick stop for some yummy Gelato. We went to a place called Della Palma after reading reviews on Trip Advisor. They had over 100 flavours of Gelato! I had cheesecake flavour. 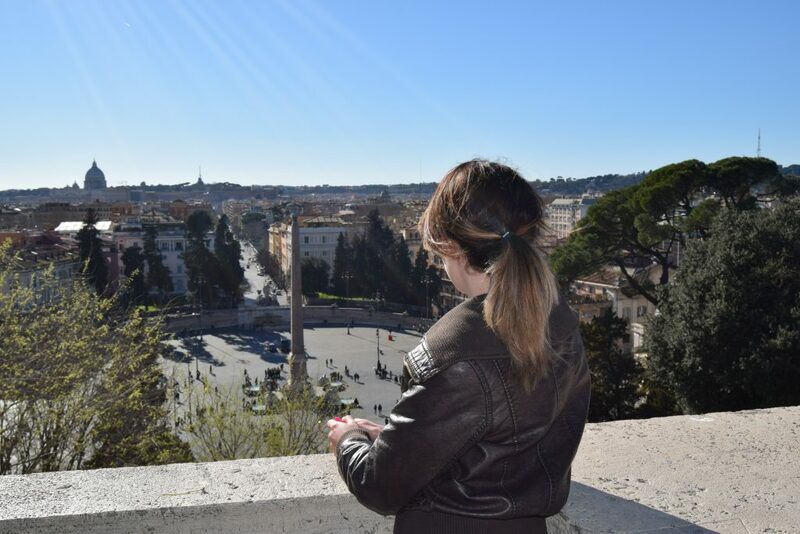 It was amazing..
We then headed to Piazza del Popolo (Piazza of the people) and Villa Borghese – a pretty park with stunning views of Rome. 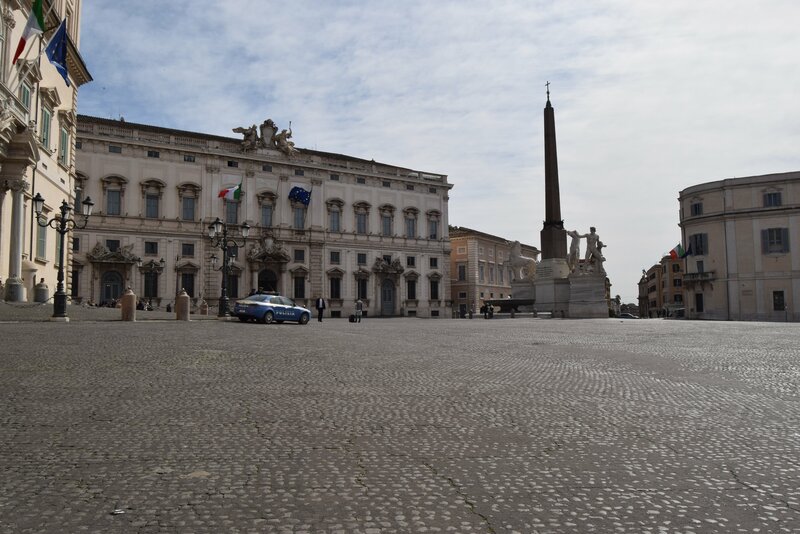 Piazza del Popolo was very busy with street sellers trying to sell, you guessed it, selfie sticks! And also roses and scarves.. very annoying. The park is gorgeous and peaceful though. It’s actually really big and you could spend a good few hours here, relaxing, having a picnic or taking a bike ride. 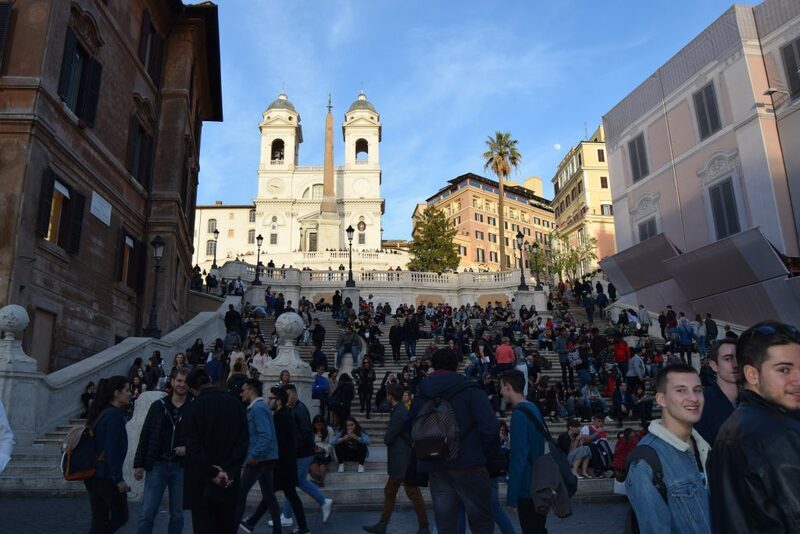 As you can see from the photograph, the Spanish Steps were incredibly busy, with pushy street vendors everywhere, like all the main tourist attractions in Rome. In this respect, I think they were a bit over-rated. However, the area itself (Spagna) is very nice with lots of designer and upmarket shops. 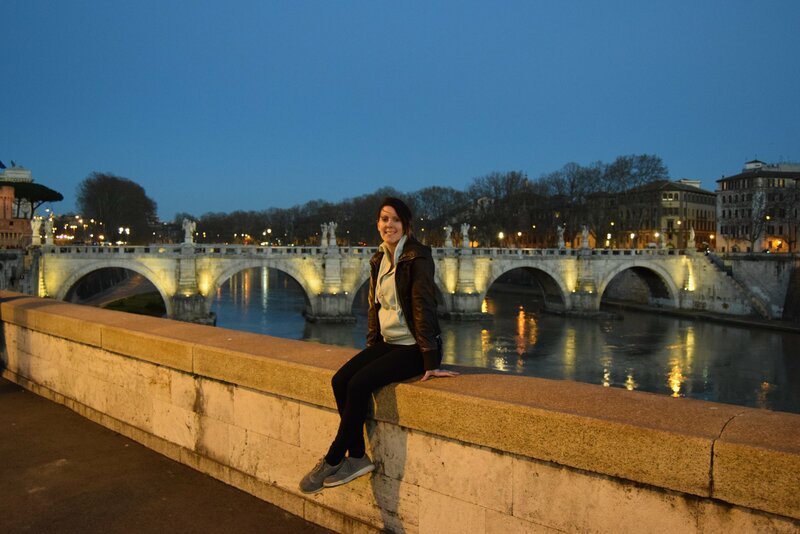 We finished day two with a drink in a bar near the Spanish Steps (called Dilla) and then headed back to Trastevere for a meal and drinks. 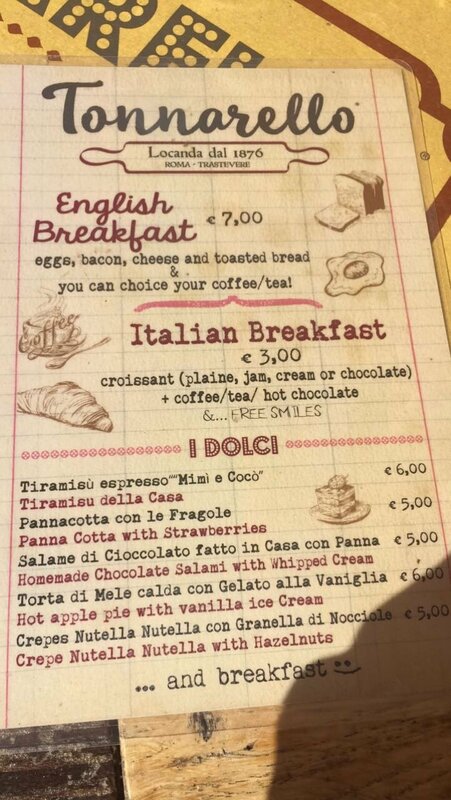 We started day 3 with a lovely Italian breakfast (and free smiles!) 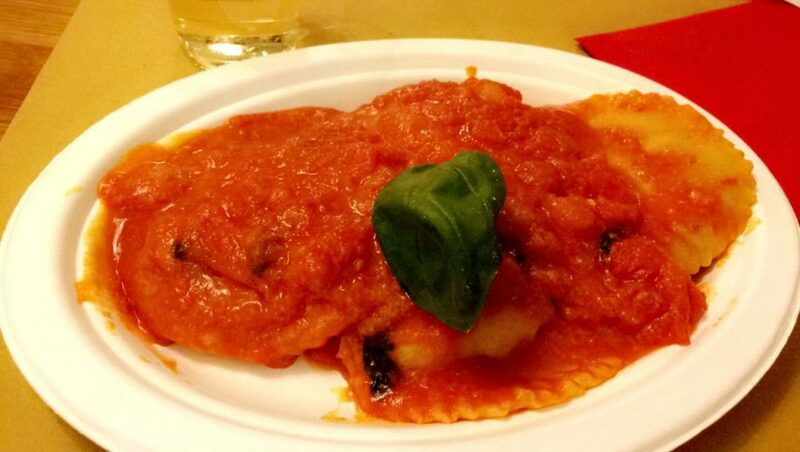 for just 3 euro at a nice restaurant in Trastevere called Tonnarello. 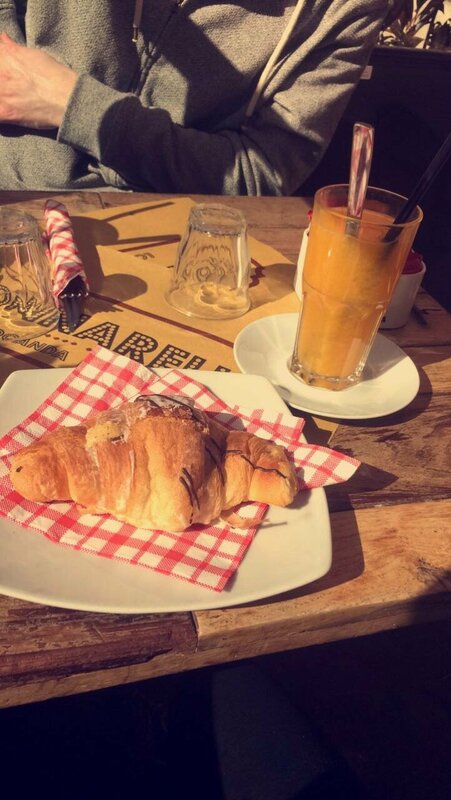 We sat outside in the warm sunshine to eat breakfast, which is a novelty for us Brits. Our third day was lovely and warm (about 22 degrees, not bad for early March!) so we wanted to enjoy the sunshine. 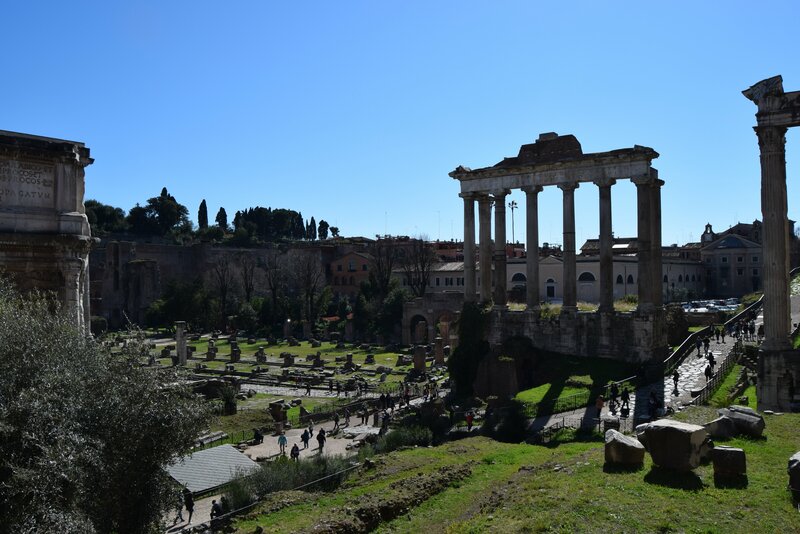 By day 3, we felt like we had seen most of the main sights, so we decided to revisit the Roman Forum and Colloseum, as it was a bit rushed on the first day, as well as see a few of the remaining sights shown below. 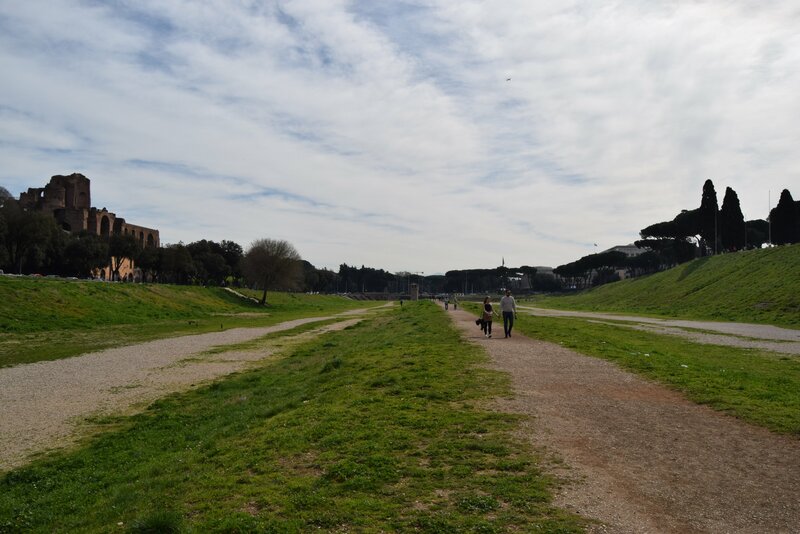 Now an empty field, but this is where chariot races took place in ancient Rome. This was a really pretty church and free to enter so definitely worth a visit. After the church, we walked back to our hotel via the Colosseum to take some more pictures (and have some more gelato!) We then walked back to Trastevere along the river, passing the castle on the way. 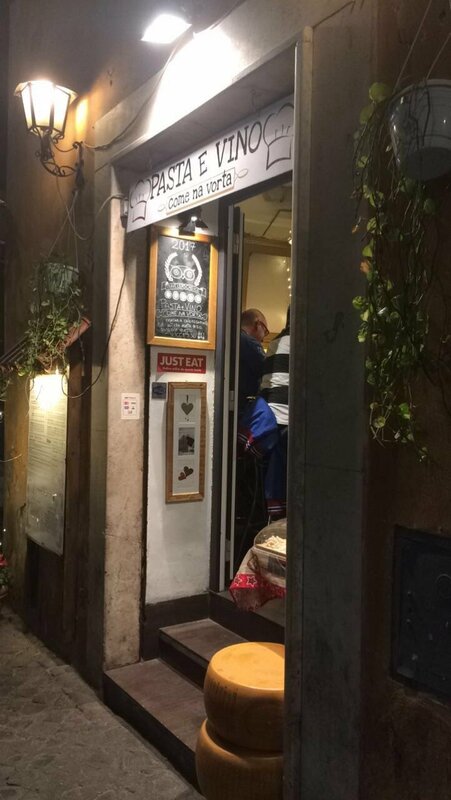 For dinner, we headed back to Trastevere and stumbled across a cute little place down a side street called Pasta e Vino. It was basically like a little takeaway place (but you can also eat in). They make fresh, handmade pasta and sauces and you choose your combination and order at the till. This was hands down the best pasta I’ve ever had! Today was going home day – boo! 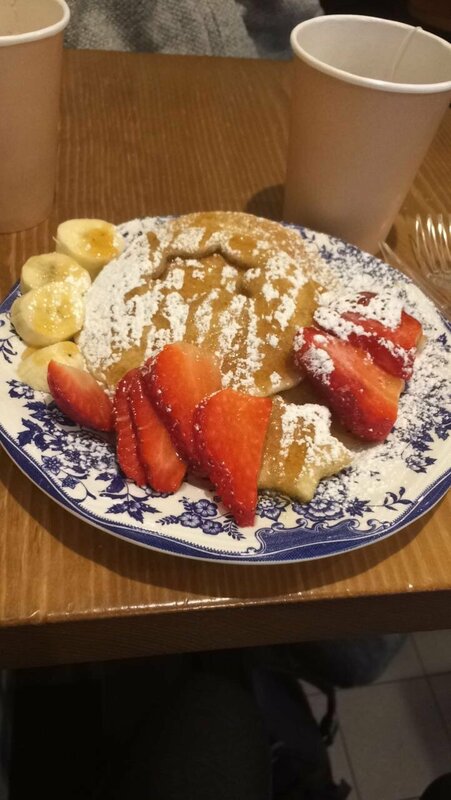 We had a late flight, so we checked out of the hotel and found a really cute place for breakfast called Mammo street food. They do amazing pancakes and bagels! 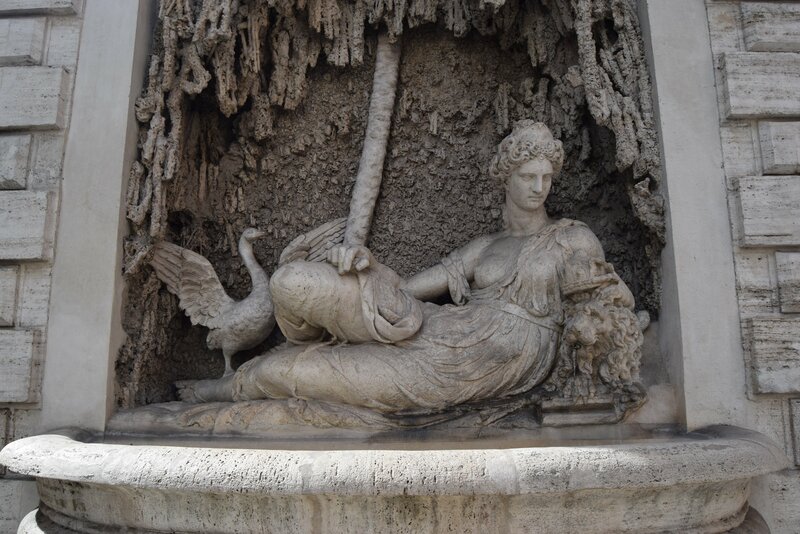 We then wandered around for a bit in the sunshine until it was time to head back to the hotel for our airport pickup. So, there you have it! 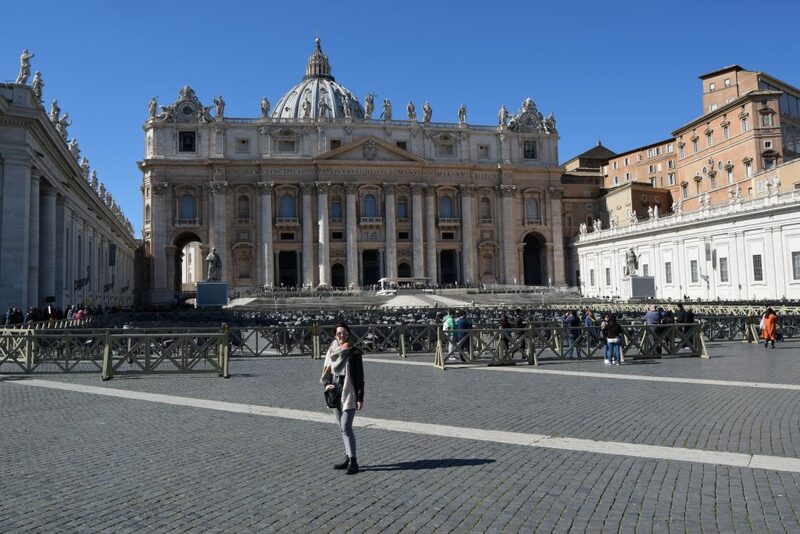 That’s how I spent 3 days in Rome. 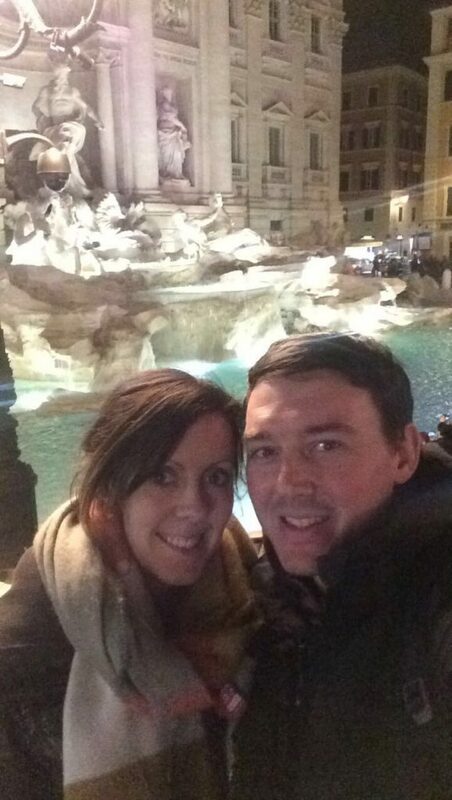 Overall, I had a lovely time in and would definitely recommend Rome for a short break. I loved the food and all the cute restaurants and wine bars. 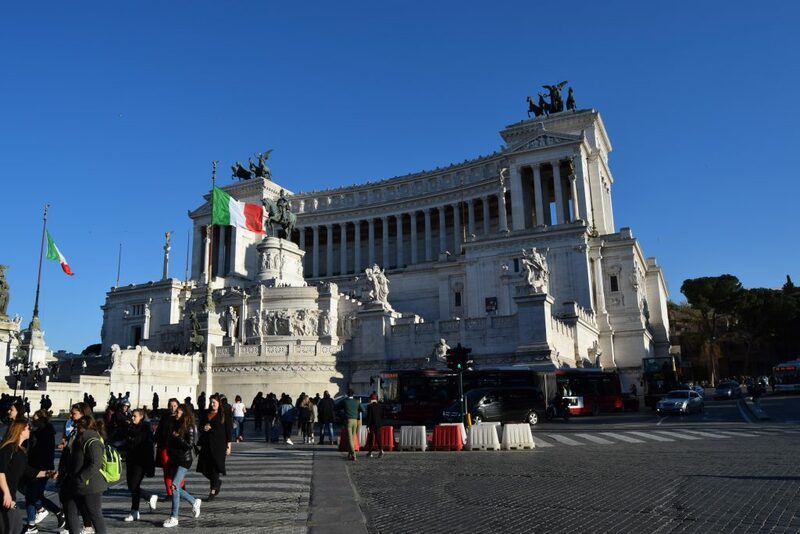 The best parts of Rome for me were away from the main busy tourist attractions, where you get pestered quite a bit by street sellers. 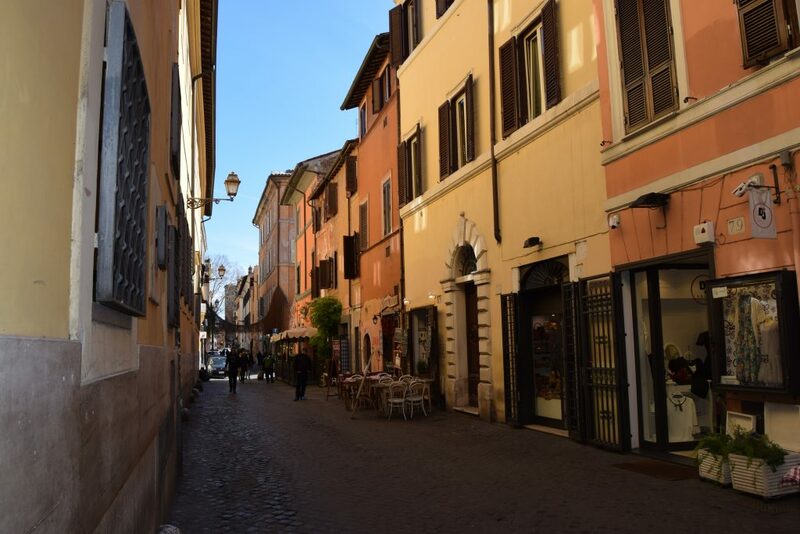 I preferred the quiet little side streets which were just so pretty and full of amazing bars and restaurants. 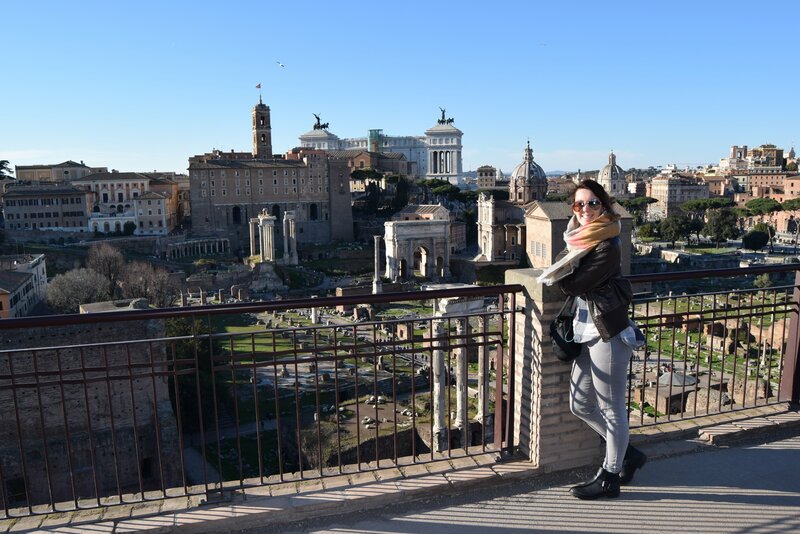 I think March is a great time to visit Rome because it’s nice and sunny but not too hot, in fact it was perfect weather for walking round sightseeing (around 16-22 degrees). 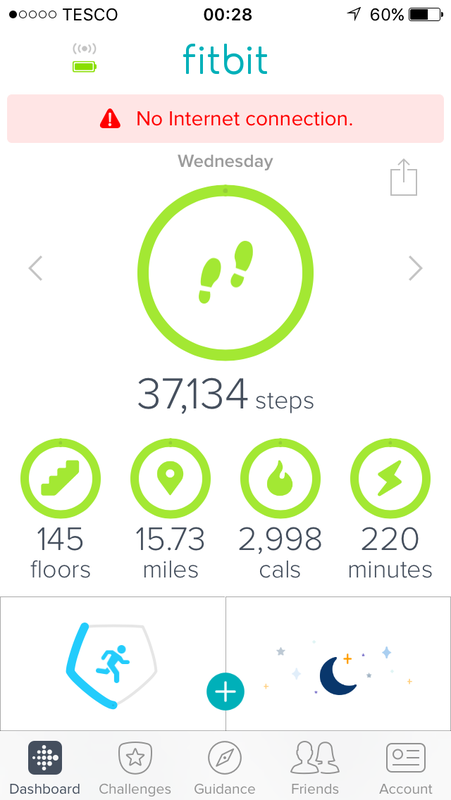 You do ALOT of walking though, the most steps I did in a day was over 37,000, which is the most I’ve ever done in a day! 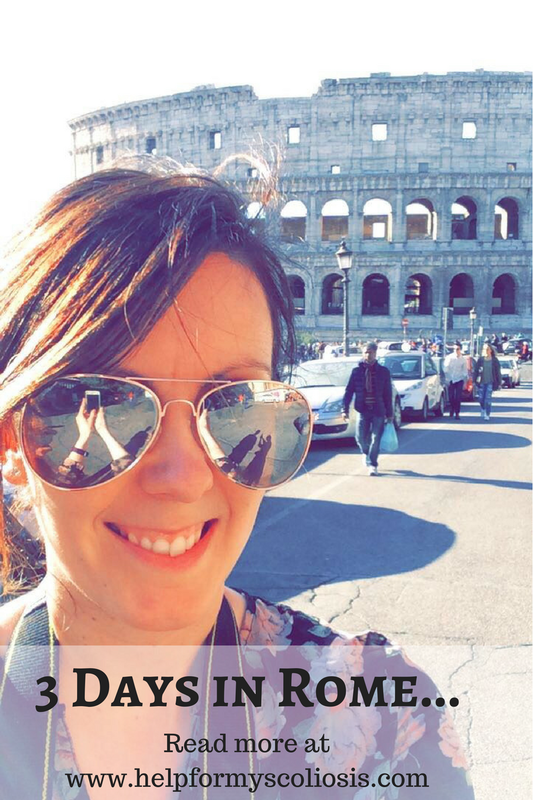 3 Days in Rome – Steps in one day! 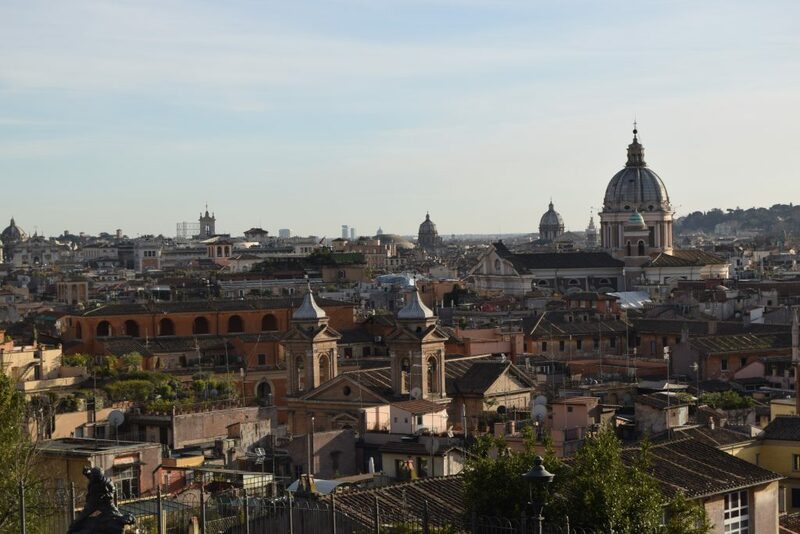 So if you do visit Rome, good walking shoes are a MUST. My back did suffer a bit, but I noticed my back pain was worse on the days that I didn’t wear my memory foam trainers, I really can’t recommend them enough. Check out my post here for more tips on travelling with scoliosis. 4 days in Amsterdam! London British 10K: 14 Days to go!